Exciting times are here. 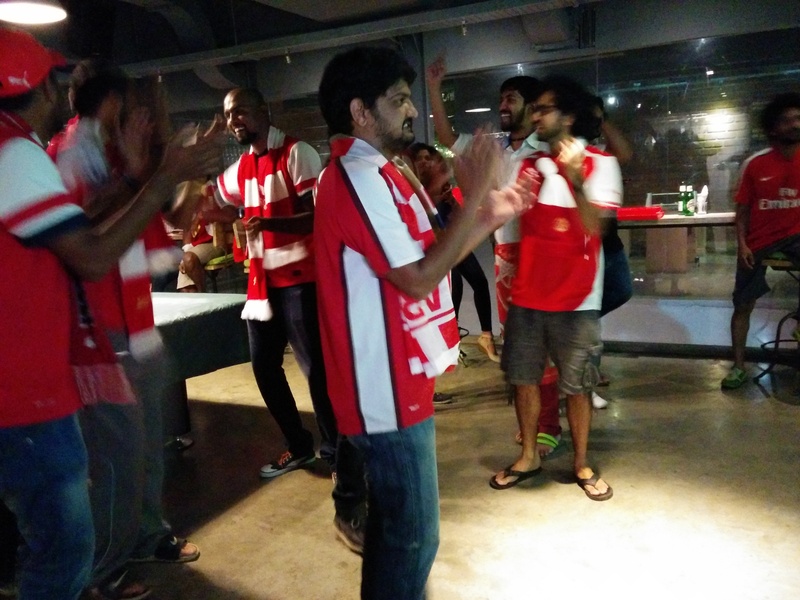 Its all cheer and joy in all things Arsenal right now. The FA trophy, the smart summer business and now the dominant victory over league winners Manchester City. It almost sounds like a dream. And we don’t want to be woken up. Long may this party continue. Hic! 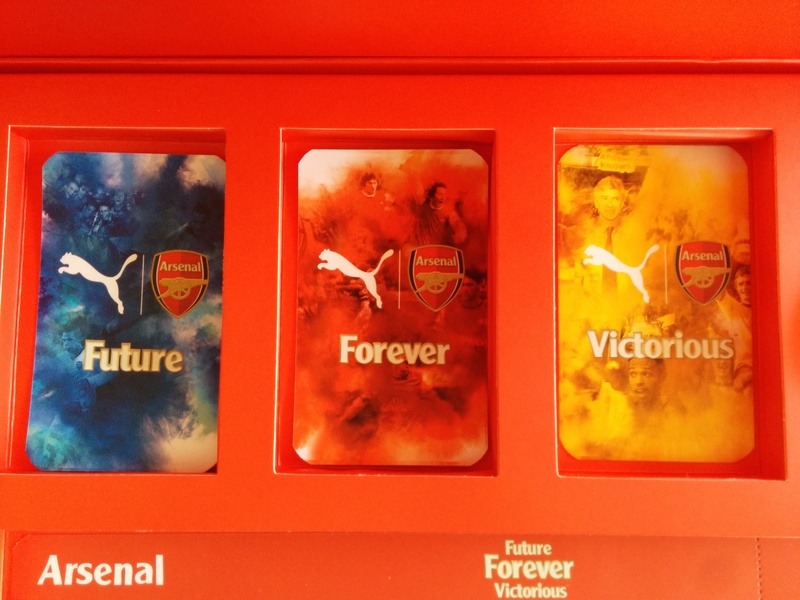 And if all this was not enough to feel special as gooners among all football fans, Puma has invited fans to an exciting on ground event where Arsenal Legend Freddie Ljungberg will unveil the AFC Tunnel of Time for fans and others who might be interested. It is a unique way to pen a new chapter in Puma and Arsenal’s relationship. 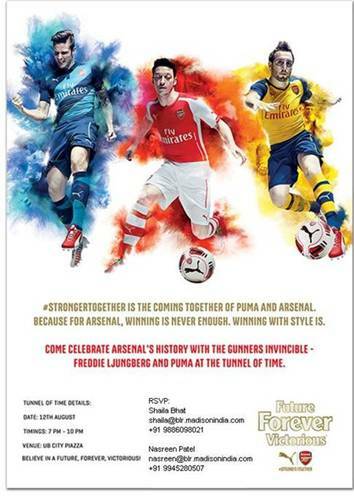 I’m excited to see what Puma have planned for tomorrow (Aug 12 at UB City) , and how the history has been portrayed through that tunnel. The fanboyism has started to kick in, in anticipation of being in the same room as Freddie Ljungberg. For those keen on attending the event, keep an eye on #AFCTunnelOfTime hashtag and you could still find a way to meet Freddie! 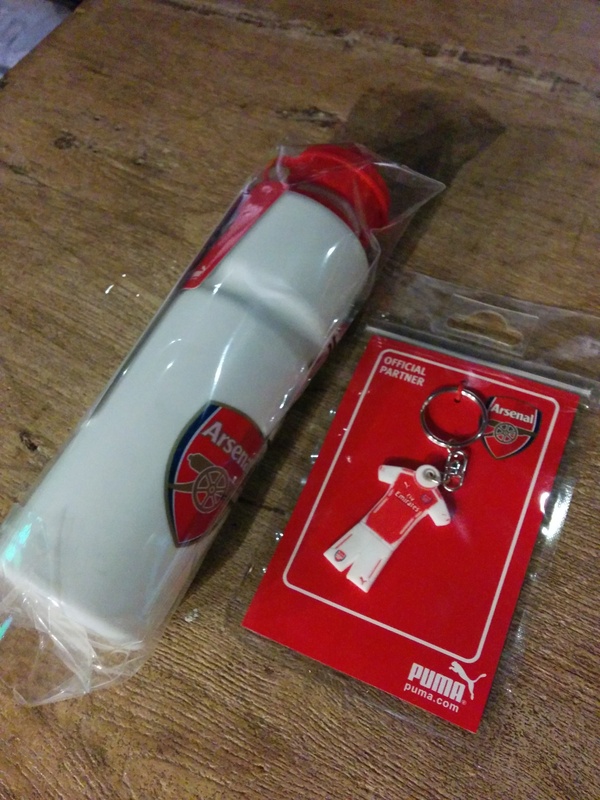 Had you been there at PSC yesterday you could have grabbed invites or goodies from Puma. PS: Is my clock running slow? 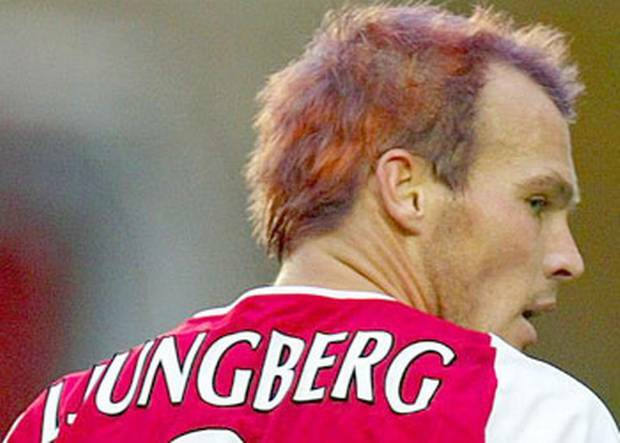 This entry was posted in Arsenal, Uncategorized and tagged AFC, AFCTunnelOfTime, Arsenal, Arsenal Legend, Freddie Ljungberg, Hungover Gooner, Invincible. Bookmark the permalink. Dude I’m so jealous of you. 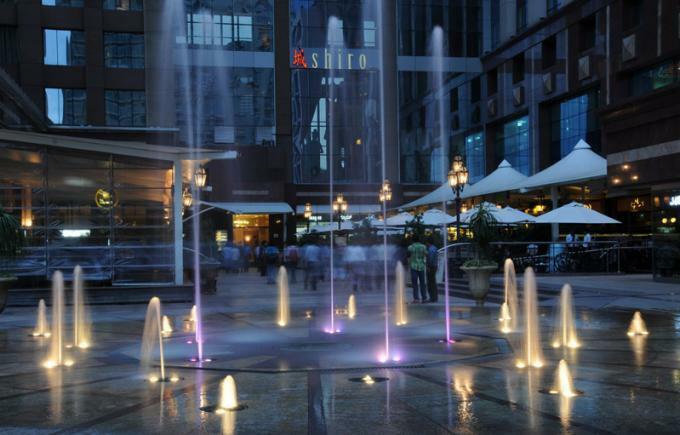 Just until recently I was in Chennai and could hop on a train or a bus to Bangalore. I’ve shifted and all I can do is keep up with the news through the Internet. Enjoy your privilege man. And give Freddie the Arsenal welcome that he deserves. Cheers! Dude I’m so jealous of you. Just until recently I was in Chennai and could’ve hopped on a train or a bus to Bangalore. I’ve shifted and all I can do is keep up with the news through the Internet. Enjoy your privilege man. And give Freddie the Arsenal welcome that he deserves. Cheers!